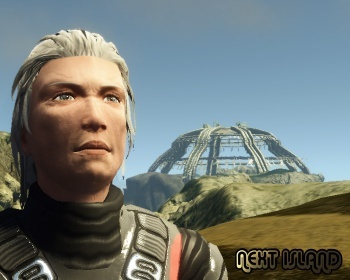 Jon Jacobs sold his Club Neverdie in Entropia Universe for $635,000, and is bankrolling a new virtual world called Next Island. Not many people thought it was a good idea when Jon Jacobs mortgaged his house and purchased virtual real estate in the Swedish-based Entropia Universe for $100,000 back in 2006. But when he built a functioning business model that brought in $64,000 annually, his purchase seemed less crazy. This year, he sold off the bulk of Club Neverdie to an Entropia user named John Foma Kalun for $335k while also selling off pieces of his asteroid to twelve others for another $300k, bringing the total proceeds to $635,000. That amount of cash is nothing to sneeze at, but he's not letting it go idle. Entrepreneur David Post recruited Jacobs to help him build a new virtual world within the Entropia Universe called Next Island, which has been under construction for the the last three years with technology from MindArk, the people behind Entropia. Next Island is free to play, and officially opened its doors to the public on December 10th. Next Island's premise is that all of the rich people of the world have set up individual islands for them to enjoy, but this island has the benefit of time travel. That means we'll have places like ancient Greece, complete with columns and maybe a philosopher or ten. There will be game rules that will make Next Island feel a bit more like World of Warcraft. You will be able to collect resources, for example, and make things that can be sold for in-game currency. The difference is that the currency may be able to be converted to real-world riches, because Entropia runs a recognized banking institution based in Sweden. It will be interesting to see whether a new virtual world will be viable in today's market. After hearing so much in the middle of this decade about how places like Second Life would spread to infect all of our lives, and then witnessing no such change, it's a little hard to swallow that red pill. Still, Jon Jacobs has proved that he can turn a profit in these worlds, so it's at least possible that something will come of Next Island.